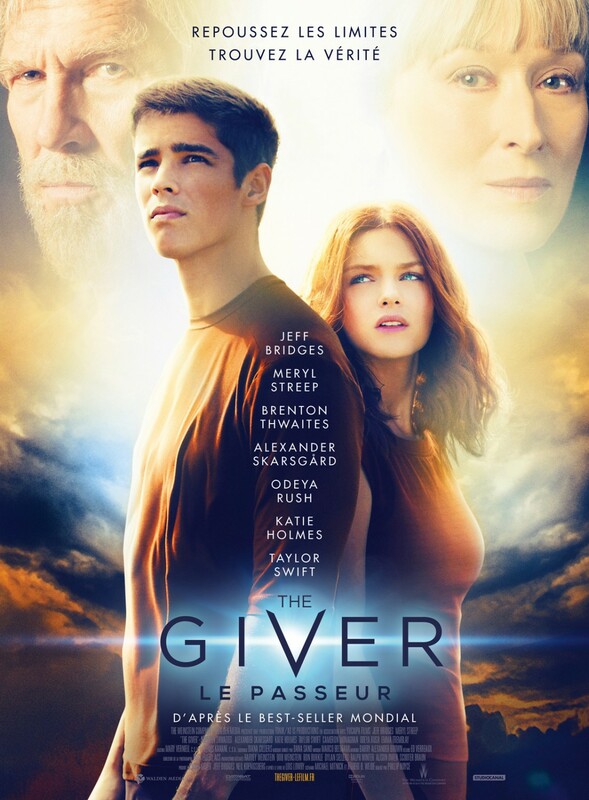 Probably one of the more forgettable book-to-film translations of the young adult literature future dystopia subgenre, The Giver (2014, dir. Phillip Noyce) tells of a future society without colour, conflict, or personal identity; a monochromatic Nineteen Eighty Four-type arrangement where each member of society is assigned a job and a singular purpose for life, at age 16. On the day of his graduation, Jonas (Brenton Thwaites) learns that his job is to be the Receiver of Memory, and to work with the Giver (Jeff Bridges), the only job of its kind. But this important task comes at a cost as he learns about the painful secrets of humanity that his society has been protected from for years. I studied this book in year 8 at high school and thought it was a pretty good book at the time. Lois Lowry is the author, and she’s the type of old school young adult fiction writer that is to be highly respected for her revolutionary ideas and the way that she packages them up into highly edible stories for young people. There’s some pretty terrible poster art for this film. The only one I liked was the French one. So, basically The Giver wasn’t a good film. I’m not sure the conflict of the film was very well expressed because it was mostly just boring. In the book, a lot of the conflict comes from forbidden and long-forgotten emotions being experienced by someone, namely the protagonist, who has never felt real emotions before. I don’t think Brenton Thwaites gave a good enough performance to sufficiently communicate this. But Taylor Swift is in it! For about three minutes. As a brunette! Oh my god!!! None of the acting in this is good, not even Meryl Streep’s. I expected more from Meryl. Taylor Swift is a terrible actress, but that’s no surprise. I really like Jeff Bridges, but in this he gives a generally underwhelming performance as a result of the film’s mediocre script, which is sad considering the importance of his role and his general awesomeness. Katie Holmes and Alexander Skarsgard are in this film, but they are so forgettable. Also, the visual quality seems really poor for some reason. Everything is in a weird focus as if it’s been shot on an old digital camera, the depth of field is poor, and each fast-paced chase scene looks choppy as if the footage has been sped up too fast and the resulting visual issues haven’t been fixed in post-production. Direction is standard. The visual gimmick of everything being shades of grey and then bursts of colour isn’t done very well and isn’t given the same gravitas or respect as in the book. It’s probably not worth seeing The Giver. But the book is good, you should probably read it instead. Watch this film at Amazon! I completely agree with you here, this film is not worth seeing. How they ended up doing such a bad adaptation is really beyond me… one of the most disappointing films from last year. I would tend to agree, I really liked the book and I think they could have done a much better job adapting the source material! Just not interesting at all. I know! I love him, too, so it was painful for me to write that. His performance in this is eerily similar to his little cameo in Zoolander, I had serious deja vu happening. Hmmm. Sounds like this thing is just flat and dull all the way through. I’m not a bit familiar with the book, but it definitely sounds like I’ll skip the movie. Definitely worth a skip, there are so many other amazing things to watch instead! Perfect summary of this silly film! I thought Lois Lowry sounded really familiar so I Googled her and I think I read a bunch of her books when I was about 12. Not this one though. This book was pretty good! She was definitely one of my go-to authors during those awkward pre-teen years. Sounds like you were one of the lucky ones to dodge this lame film! 😀 Thanks!